The courses fill up fast – the park often sells out, especially during the summer season. We strongly recommend that you get your tickets in advance. During the summer season, we absolutely require it. It’s the only sure way to secure your place. When you call to reserve, we will need a last name for your group, exact number of people in your group, cell phone number and a credit card number to hold the reservation. Take a moment to review our cancellation policy below. 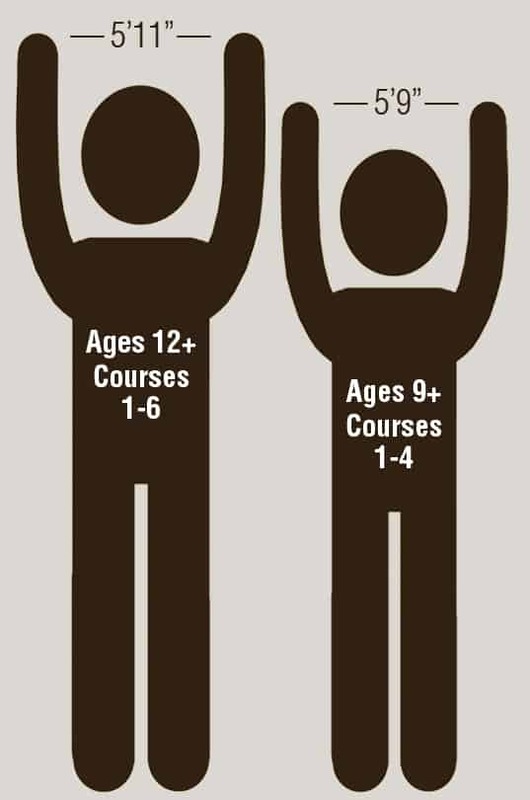 Please don’t forget, there are reach restrictions for the courses. You need to make sure you and anyone in your group meet them. Your reservation time is now your arrival time. If you are late and miss your reservation and we are unable to get your group out in a later departure, the credit card on file will be charged and you will not be able to climb. Failure to Show/Failure to Cancel. If you have reserved and you have not called to cancel or change your time, you might as well show up – credit cards are charged IN FULL and are NOT refundable. 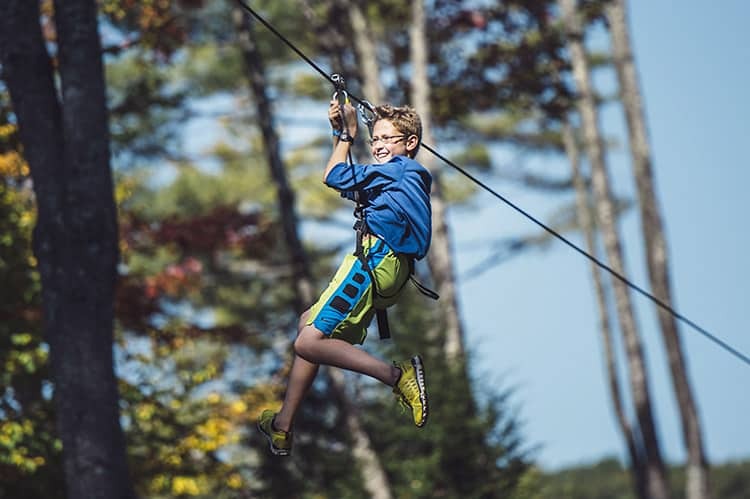 Includes the Yellow course and kids GIANT zip line. 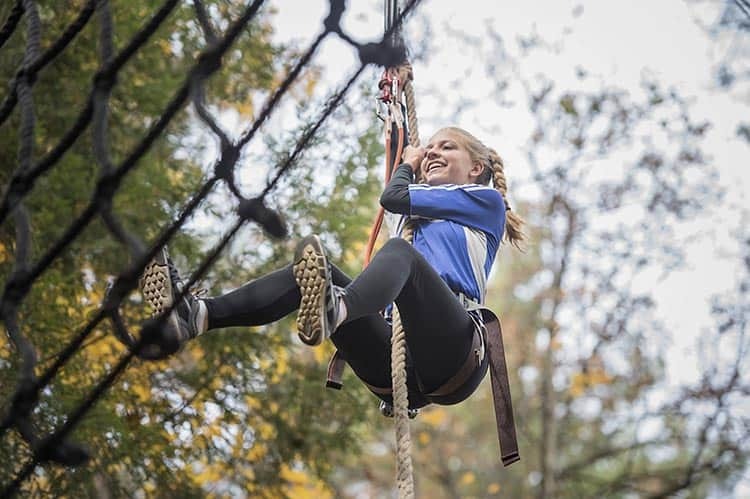 2+ hours of aerial adventure which Includes 4 courses: Green, Blue, Silver, Pink, as well as our Giant Zip lines. Height requirement: While keeping feet flat on the ground, arms raised above your head, fingertips must be able to touch the height of 5’9″.